OT: Choppy Swim Practice Today. Maybe I had too much on my mind. Some days it's just hard for me to make up my mind. 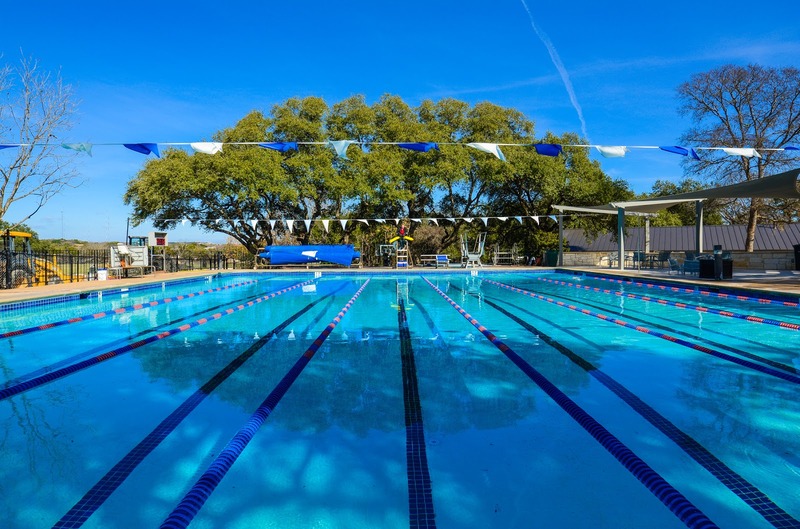 Do I want to hop in one of the lanes on the right hand side of the center of the pool and struggle to keep up with the faster swimmers or do I want to jump into a crowded lane with swimmers who are more or less in line with my speed and endurance? I was one of the first people on deck this morning and jumped into lane four; right in the middle. Lane three filled up with the people I usually swim with but my lane today, the pivotal lane between fast and not so fast, stayed lonely until after warmup. Then I noticed a bunch of faster swimmers arriving late. Couldn't justify using up a whole lane for myself and I know I can be hard to categorize. Too fast for some lanes and not fast enough for others. I had effectively pushed all the slower swimmers into the first three lanes and had effectively pushed all the faster swimmers into the far three lanes. I decided to abdicate the middle lane and alleviate the crowding in lanes 5 & 6. But the conundrum was "where to go?" My usual lane, #3, was filled with four swimmers. The swimmers in lane 2 were too slow for my usual pace and I didn't want to disrupt them. I looked at lane 1, which is usually the slowest lane and there seemed to be no one there. I grabbed my gear and headed over. I could pace with my buddies in lane three but, apparently, have an entire lane to myself again. At least that's the way it looked until Tommy Hannan jumped in. He'd been swimming in lane 1 since warmup but had gotten out to answer nature's call. (Thanks for not peeing in my lane....). He offered to swim on whatever interval might work for me. There's something intimidating about circle swimming with an Olympic gold medalist. He moved through the water like a shark. A fast shark. I was happy to know that he'd tolerate and compensate for me in his lane but, after fifteen anxious minutes of swimming hard, I decided to move again. In the end I wound up swimming in a total of four lanes today and could never find just the right mix. I stayed for a bit of the second workout just to get enough yards in. Strange to swim on those days when you just can't figure out where you fit in. And tomorrow will be totally different. I blame too much thinking about lenses and not enough thinking about swimming. That's easy to fix --- I'll just shred my checkbook. I shot a photography assignment with the Olympus 12-100mm and the GH5 yesterday. Here are a few random observations. 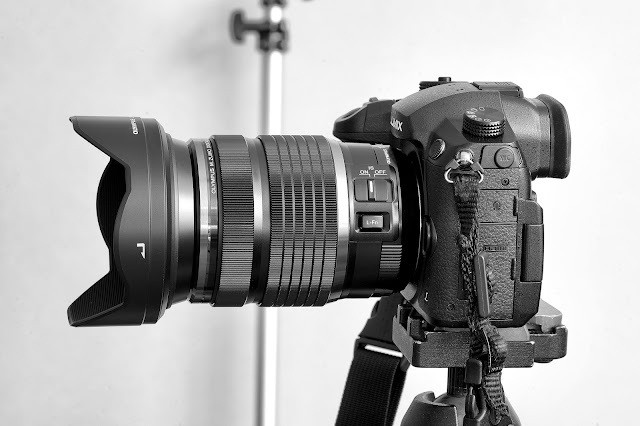 A client I'd done work for ten years ago called me a few weeks back and asked if I could do a photo shoot to replace the images on their website that had been there for over a decade (now that's how to get your money's worth out of a photographer!). When we did the original website it was cool just to have a well designed site and basically the photography was little more than a documentation to prove that the staff existed and that the firm actually had physical offices. Nothing fancy to the photography. Now so much water has flowed beneath the bridges that photography for a website is a different conversation. The firm still has a central office but it's more of a way station. Most of the executives are working from home or from small, single person, satellite offices that are close to their homes. The client's thoughts about websites have changed as well. Rather than have individual headshots against anonymous backgrounds they wanted to do something much more casual and almost conversational with their people photography. Their business is still a "people" business and they want their people to be visible but they want to be seen as approachable, likable and congenial. Also important was to show their cohesiveness as a team. I like their out of the box thinking. They asked me (as the assignment) to join their six person executive leadership team for lunch at a new restaurant and to shoot candid images of them at lunch as they talked and laughed and shared a meal together. The client checked with the restaurant and made sure it was okay with them to have me shooting, almost randomly, in their main dining room during a busy lunch. This being Austin, Texas, home of the very idea of laid back, it was no problem.